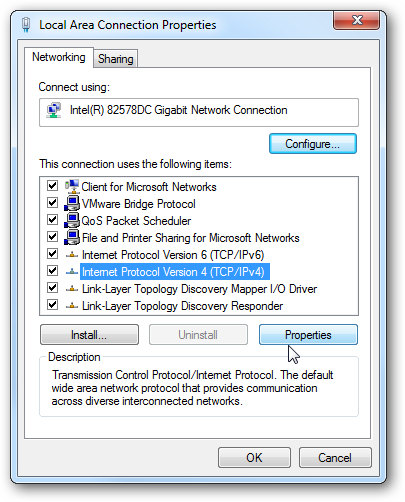 To change the computer’s IP address in Windows, type Network and Sharing into the Search box in the Start Menu and select Network and Sharing Center when it appears. 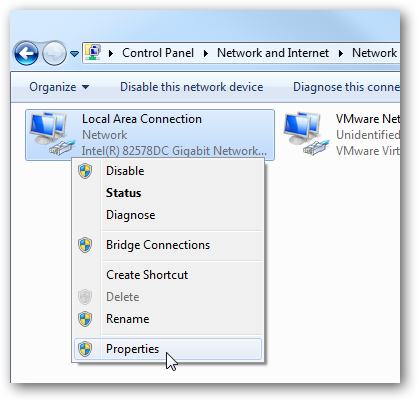 If you are in Windows 8.x it will be on the Start Screen itself. 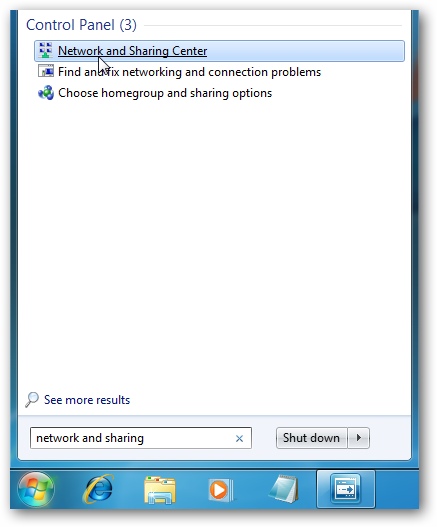 If you’re in Windows 7 or 10 it’ll be in the start menu. 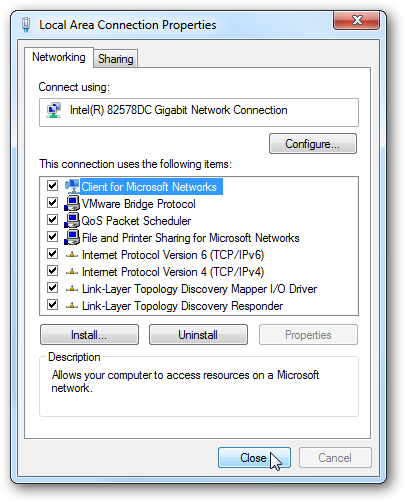 Then when the Network and Sharing Center opens, click on Change adapter settings. 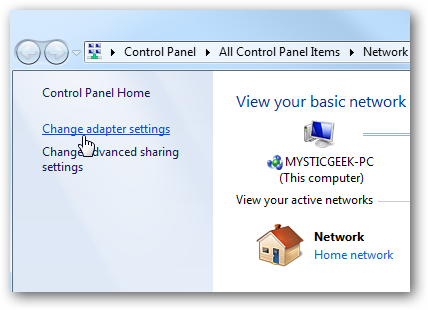 This will be the same on Windows 7 or 8.x or 10.